Colin has a unique background combining commercial real estate and technology. 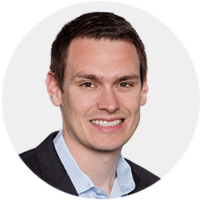 Prior to RealtyShares, he was the Marketplace Director at IfOnly, a technology platform for incredible experiences. When you know more, you make better decisions. That’s true whether you’re buying a car, choosing a lender, or selecting your next real estate investment. 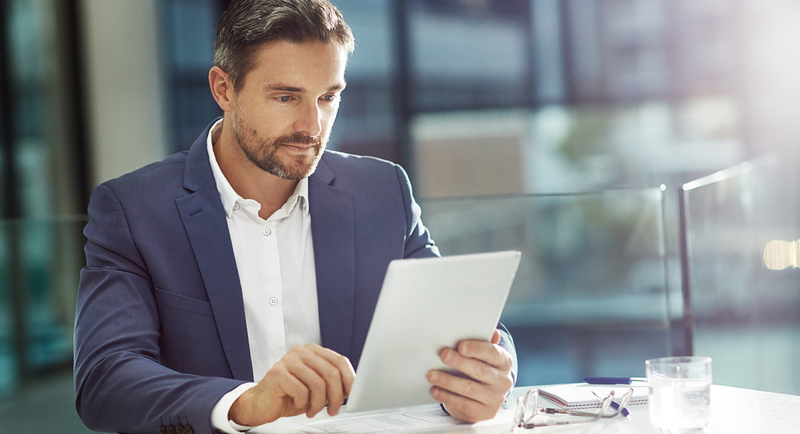 That’s why, when it comes to our investment pages, we’re committed to providing you with comprehensive information across a number of factors that may affect how the investment will perform. That way, you can select the investments that best align with your personal financial goals. We’ve tried to divide our investment pages into logical sections that are easy to understand and navigate. Don’t miss the clickable table of contents at the left-hand side of the page. Still, there’s a lot to take in. How do you make sense of it all? Which data points should you pay particular attention to? 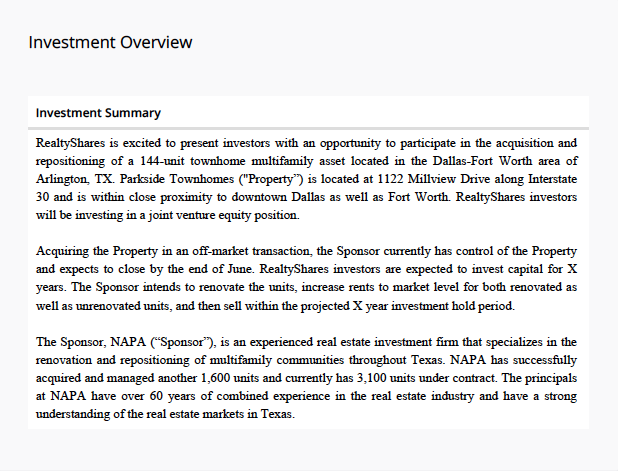 As you can see, the investment minimum for Dallas Multifamily is $25,000. Generally, we arrive at that number by dividing the amount of financing we’re providing by the number of investors in the investment. Applicable regulations often limit us to 100 investors in a given opportunity. The IRR (Internal Rate of Return) Objective is our goal for the investment’s annual returns. We calculate IRR when we underwrite and structure the investment, during our rigorous, five-step vetting process. If you’re interested in learning more about return objectives (including IRR), we’ll discuss them a little later in this article. The target hold is the estimated amount of time it will take the sponsor to complete their business plan. So if you’re an investor, and if everything goes according to plan, you can hope to receive distributions from this investment over that time period, with a final payout once the property has been sold or refinanced and investors have been repaid. It’s worth noting that real estate investments can last longer, sometimes substantially longer, than the targeted time frame. Conversely, sometimes a successful project will be completed earlier than expected. Investment hold period objectives are thus only targets. Remember that, generally speaking, real estate investments are illiquid, meaning you can’t buy or sell your shares after you invest. It’s important to note that real estate investments carry risk and are not guaranteed, so they may not perform according to our expectations. You run the risk of losing invested capital, up to all of your original investment. Underneath the three numbers listed above, you’ll find information about the property and investment type of this particular investment. The first field is labeled “funding type,” which refers to the financing “product” that investors are buying shares of. Below I have listed each funding type, along with a short synopsis of its potential risks and rewards. Learn more about the kinds of investments that RealtyShares offers. Common Equity: Common equity shareholders own an interest in the legal entity that owns the property. These return objectives are often the highest among the different funding types, because common equity shareholders can participate in any appreciation gains realized when the property is sold, as well as periodic returns based on the property’s excess cash flow. By the same token, if an investment underperforms, these investors are the last to be repaid, and their capital is at the greatest risk. Preferred Equity: Preferred equity has a higher priority for cash distributions than common equity, but lower than debt. That means these shareholders are paid their agreed-upon return rates before common equity gets a single cent, but only after lenders have received their full required payments. 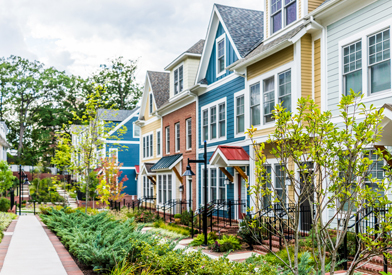 As a trade-off, preferred equity typically does not participate in any appreciation gains realized when the property is sold. Mezzanine Debt: Mezzanine debt is similar to preferred equity in that both kinds of investments are entitled to a predetermined rate of return and a prioritized repayment of capital by an agreed-upon date. The difference is that mezzanine debt is a loan secured by a lien on the entity that owns the property. It is senior to all equity stakes but junior to debt that is secured by a mortgage or similar security interest. 2nd-Lien Debt: Second-lien debt is a loan secured by a junior lien on the property. If an investment underperforms and a sponsor defaults on their payments, a second-lien lender can work with a senior lender to legally take possession of the property via foreclosure and sell it to potentially recoup their investment. It is one of the less risky positions in the “capital stack;” as such, it usually offers relatively lower return objectives. Senior (1st-Lien) Debt: This is a loan secured by a senior lien on the property. These noteholders can often act quickly if a borrower defaults and foreclose on the property and potentially recoup their investment. Although some first-lien loans do end up losing money, this is generally the least risky position in the capital stack. In return, these investors are typically offered lower return objectives. 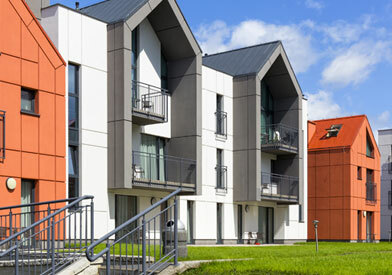 With Dallas Multifamily, the funding type is common equity. So there’s relatively more upside if the investment overperforms, but relatively more risk if it underperforms. 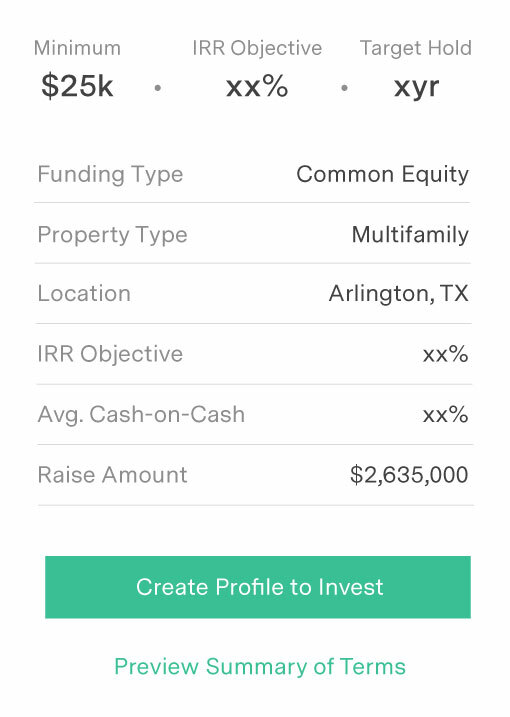 Below funding type, you’ll find the property type and location. RealtyShares offers investments in commercial real estate; that is, property owned for the purpose of capital appreciation or income production. Whereas there are relatively few kinds of residential real estate, there are many different kinds of commercial real estate, each with its own unique characteristics. Multifamily: Apartment buildings with 5 or more units are considered to be commercial real estate. The buildings are not owned by tenants; rather the units are rented out for the purpose of generating income. Regardless of the state of the stock market or the broader economy, people still need a place to call home—so this sector is often considered to have low volatility. 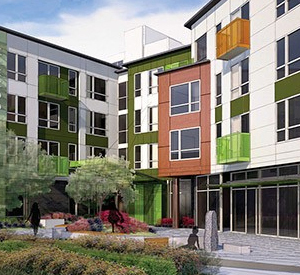 Get our take on the market for multifamily investments. Hospitality: The hotel business—from affordable options to luxury escapes—has seen robust growth over the past decade. The main reason is the worldwide increase in both leisure and business travel. This category does not, however, include spaces rented through home sharing services like Airbnb. Get our take on the market for hospitality investments. Office: You probably know an office when you see one: it’s a workplace where nothing is sold on the premises. This sector is evolving as companies increasingly adopt open floor plans and embrace telecommuting. 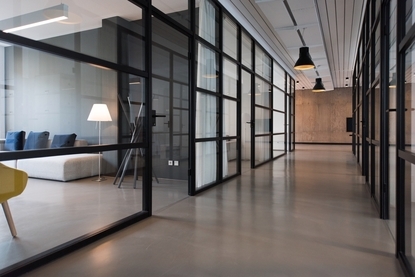 Get our take on the market for office investments. Retail: These properties are used to market and sell consumer goods and services. Examples include shopping malls, strip malls, big box retailers, grocery stores, specialty stores, and restaurants. Because of e-commerce, this sector has seen more disruption than any other in recent years. Learn more about the changing face of American retail. Industrial: Retail’s loss is industrial’s gain. Goods that might formerly have been purchased in-store are now being bought online and shipped directly to consumers from “fulfillment centers.” These warehouses are located outside urban centers and contain a wide variety of products. Industrial real estate, more generally, is any property that is used to manufacture, warehouse, or distribute products. In the case of Dallas Multifamily, you can see that it’s a multifamily apartment building located in Arlington, Texas. When you evaluate a real estate investment, one of the first questions you are likely to ask is, how much money can I reasonably expect to make? There are actually several ways to estimate or forecast your return on an investment. But it’s important to note that, when it comes to real estate, it’s only a calculation base on our underwriting process. That’s because these investments carry risk and are not guaranteed. When the real estate sponsor executes their business plans in the real world, sometimes their projects underperform; sometimes they overperform. Internal Rate of Return (IRR) refers to the target annualized rate of return over the period of the investment (cumulative). It is calculated using the net cash flow and the expected appreciation growth of the property divided by the target hold time. Average Cash-on-Cash simply divides your anticipated annual pre-tax net cash flow from a given property by the total amount of your investment; it does not take into account any potential appreciation. Because distributions can start off slow and increase as the project advances, this number is expressed as an average over the target hold period. IRR Hurdle is a periodic—usually quarterly—return, listed as an annual rate. It is earned from the investment and usually paid from the property’s excess cash flows. It’s important to note that this return is an objective and not contractually agreed-upon. In other words, it gets paid if there’s money there to pay it and the sponsor doesn’t think that it needs to be held in reserve for other purposes. Capitalization Rate (Cap Rate) is the annual net income of the property divided by its market value. This metric varies widely from market to market and from property type to property type, but, generally speaking, a higher cap rate signifies a better “value” and a potentially higher yield on your investment. Current Preferred Return is a periodic—usually monthly or quarterly—return, listed as an annual rate. It is earned from the investment and usually paid from the property’s cash flows . This return rate is contractually agreed-upon and has priority over returns to other equity investors; that is, it gets paid first. But lender debt still has priority over preferred equity. Accrued Preferred Return refers to the portion of the total return that accumulates and is paid when the investment has exited or reached maturity. It is typically paid in conjunction with the return of the original preferred equity investment. Annual Interest Rate refers to the periodic annualized return upon the amount of debt invested. It is a contractually agreed-upon interest rate that must be paid regardless of the property’s cash flows; that’s why debt is inherently less risky than equity. In certain situations (for example, when a project is just getting started and there are no cash flows yet), a loan may involve an interest reserve fund from which to make payments. Sponsor: Who are you investing with? Here we offer background, reputation, and standing for this particular sponsor. Property and Market: Where is this asset? Here we name the location, as well as discussing local market conditions. The sponsor’s business plan: How do we plan to make money? Here we briefly discuss the renovations or other actions that the sponsor plans to undertake in order to potentially raise rents or increase occupancy. This usually involves some physical remodeling—a “capital improvements” plan. Other considerations includes various other features of the investment that we think you may want to consider. Here we often explain the legal entity that will be used to complete the transaction and describe how the process of raising funds will be conducted. When it comes to Dallas Multifamily, we partnered with NAPA Ventures to finance $2.65 million of common equity in the acquisition and repositioning of a 144-unit multifamily unit in Arlington, Texas. Their overall strategy was to acquire the property, renovate the units, increase rents to market rate, and sell. We were excited to partner with this particular sponsor. At the time the investment was executed, they successfully owned and managed 1,600 apartment units, with another 1,500 under contract. Their principals had over 35 years of combined experience in Texas real estate. The property was in a great location, and the sponsor stood to acquire it on favorable terms. The remaining sections of the investment page offer a deeper dive into information you’ve already seen, as well as some new information. As you will see, not every section appears on every investment page. Generally speaking, we include those that are most relevant to the investment under consideration. That said, if you have additional questions, please give us a call at 1-855-880-6050. Our investor services team is more than happy to help you unpack this information and find a placement that aligns with goals. Sponsor Overview tells the story of this particular sponsor and their past business strategies, as well a brief biography for one or more of the sponsor’s key executives (its “principals”). Sponsor Experience provides vital statistics for the sponsor’s past real estate transactions, including year established, total investments acquired, and total assets under management. Past Transactions Update(s), if applicable, gives recent information about other transactions that the sponsor has conducted with RealtyShares. Sponsor Fees lists the fees that the sponsor is expected to earn from the project. This includes fees paid at closing, ongoing sponsor fees such as property management or construction fees, and any refinancing or disposition fees payable at exit. Property describes the property, including things like address, unit mix, occupancy, and number of parking spaces. Capital Improvement Plan is a deeper dive into how the sponsor has proposed to allocate their budget and sheds further light on their business plan. Market describes the market dynamics where the property is located, including population statistics, rental data, large employers, transportation patterns, and cultural attractions. Sample Return Objectives provides a breakdown of the returns that would be paid on a given investment (e.g. $50,000) if the property performs according to our underwritten assumptions. Sources and Uses shows precisely where the financing for this transaction is coming from and where it’s going, i.e. how it will be used by the sponsor. Financial Summary gives our objectives for how the investment will perform over the target hold time, as well as details about how money will be distributed as the sponsor completes their business plan. Documents includes links to the legal documents that form the foundation of the investment. Here you can also find financial models that lay out, in detail, the assumptions and calculations used to obtain these return objectives. Additional Resources features links to a few articles that may help illuminate this investment. Here you might find information about the advantages of middle market real estate, a brief introduction to commercial equity fees, or the difference between direct investing and REITs. 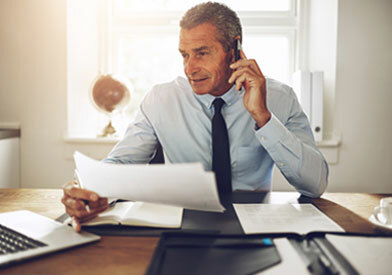 Risk Disclosures highlights certain common risks that affect real estate investments generally, and often for this investment more particularly. How are These Investments Vetted? At RealtyShares, each of our investments must undergo a rigorous, five-part vetting process. For that reason, fewer than 10% of the investments that come across our desk are ultimately approved and offered to investors. Sponsor Evaluation: As a general rule, sponsors who work with us have executed a minimum of $10 million in transactions in the last 3 years, or they have $20 million or more of assets under management. They should be familiar with the market where they are doing business, and their principals must pass credit, background, and bad-actor checks. Asset Evaluation: This is the most important step in our vetting process. We consider the asset type, understand the business plan, evaluate its return potential, review the tenant profile, and assess the leverage allocation. Last, so that the sponsor’s incentives are aligned with the investors’, we ensure that they are making a sizeable investment of their own money. Underwriting: We believe that proper risk analysis, through the intelligent application of data and industry expertise, is crucial to successful real estate investing. We also believe it’s one of the things that sets RealtyShares apart. Here we utilize our superior data to perform institutional-level analysis, model asset performance, and assess risk. Transaction Negotiation: We are committed to protecting our investors. At this stage, we review the legal terms of the transaction and negotiate to ensure that potential risks have been considered and (if possible) mitigated. That way, if an investment underperforms, we have a legal framework that can allow us to step in and aggressively advocate for our investors. Compliance Approvals: The laws that govern commercial real estate investing are there for a reason: to protect you. Following them—not just the letter, but the spirit of the law—is one of our core values. Therefore, we solicit both internal and external compliance approval at every step, including by our registered broker-dealer, North Capital Private Securities, member FINRA/SIPC. We designed our underwriting process with the goal of delivering excellence to our investors. Our team of in-house experts has more than 200 years of relevant professional experience across real estate, finance, and tech. They’re bringing industry-leading best practices from places like BlackRock, Morgan Stanley, JLL, Cushman and Wakefield, and CBRE. All Right, But Which Investments Should I Choose? At RealtyShares, we put our investors in the driver’s seat. Here’s what that means. If you were to invest in a real estate investment trust (REIT), an asset manager would determine which properties you are invested in. You would either invest in the whole basket of properties, or wouldn’t invest in that particular REIT. It’s pretty cut and dry. At RealtyShares, we believe that you know your financial goals as well as any asset manager. That’s why we allow you to build and diversify your own portfolio. Maybe you think the biggest untapped opportunities can be found in suburbs of second-tier cities in the Southeast. Perhaps you believe that millennials are embracing an apartment lifestyle, so now is the time to invest in multifamily. Perhaps you are interested in capital appreciation and aggressive growth, so you naturally lean toward equity investments. Whatever the case, our goal is to help you build a portfolio that aligns with your objectives and your appetite for risk. But your first and most important step is figuring out exactly what you want and how you want to get there. That said, you can absolutely get the ball rolling. Here is a list of questions you might ask yourself as a way to begin to establish your financial goals, your risk tolerance, and your personal investing strategy. How much investing experience do I have? With this particular asset class? Newer investors may be wise to default to a more cautious, less risky approach. What kinds of resources can I dedicate to building my portfolio? In terms of both time and money? The fewer resources you have, the more careful you should be in stewarding them. How much of my investable capital can I risk losing? Like stocks, real estate assets carry risk and are not guaranteed. Although many assets don’t underperform, some do, so you shouldn’t invest any money you can’t afford to lose. Where do I see myself in five years? Realistically speaking, are you bobbing on a boat in the Baltic? Or hard at work, advancing your career and caring for your family? Your answer to this question will inform the next one. What are my investing goals? Are you interested in paying for your kids’ college? Saving for a long and enjoyable retirement? Or maybe you’re building up a nest egg so you can buy that vacation home in Santa Cruz? Drilling down: do I want to preserve capital? Build cash flow? Aim for long-term appreciation and gains? This will affect your desired hold times, return objectives, and risk levels. When will I need these funds? Even if you’re a younger investor, a shorter time frame suggests that you should be more conservative with your investments. Conversely, a longer time frame allows for more risk-taking. How involved do I want to be with my investments? Would I like to do the heavy-lifting myself, or do I prefer a more hands-off approach? The former would allow for directly owning an investment property and managing it yourself; the second aligns more with passive investments. Start building your portfolio today. Do I have a balanced investing strategy? A diversified portfolio can help to mitigate losses in the event of market volatility. It contains investments that vary by asset type, geographic market, risk profile, and return objective, to name a few. Have I thought about the taxes I will pay? Like all other income, income from investments is taxed. But there are different kinds of investment income—dividends, capital gains, and interest—and each is taxed differently. Furthermore, certain kinds of investments may allow you to utilize tax deductions. Thinking about the current market for real estate, where is the demand? Both in terms of property types and regional markets? Where are we in the current real estate cycle? This will affect the kinds of properties, asset types, and hold times you choose to include in your portfolio—and when you choose to invest. What is my exit strategy? From individual investments and with regard to my portfolio as a whole? Will you wait for your investments to mature? Sell your liquid investments on an exchange? Build a cash-flowing portfolio and subsist on that income? Wise investors never go in without a plan to get out. Like all investments, real estate assets are nuanced. They take some time to wrap your head around. But I hope that, after walking through a sample investment page, you can see that it’s achievable. From IRR objectives to sponsor track record, each of these variables has the potential to affect the performance of your investment. That’s why we have included them, and that’s why it’s so important to do your due diligence. Like all investments, real estate assets are nuanced. But I hope that, after walking through a sample investment page, you can see that understanding them is achievable. The main thing to remember is that you don’t have to go it alone. You can check out some of our other articles, and if you have questions, our investor services department is standing by to help. Give them a call at 1-855-880-6050.